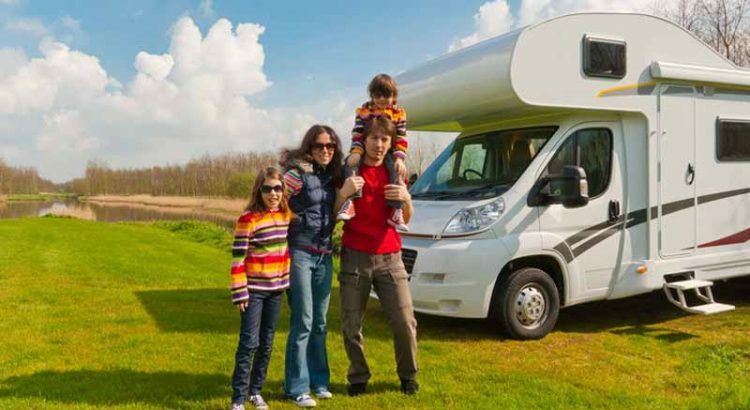 If you have a busy family life and you are desperate to find a way to spend quality family time together then perhaps you should look for an on-site caravan for sale. Caravan Parks can offer a great environment for families to bond and create enjoyable memories together. Caravan Parks have many different accommodation options – tent sites, caravan site, and permanent on-site caravans. These permanent vans offer the owner the ability to keep their van based at the Caravan Park year around without the need to drive it in and out every holiday. It’s a great affordable holiday home option. Considering an On-site caravan for sale can lead to many benefits for your children’s development as they create a great environment for families to share time together. The benefits of this quality time are huge and I would like to share some key benefits of family time. Studies have shown that kids that spend more time as a family playing get better grades. Playing outdoors and in outdoor playgrounds requires risk assessment and problem-solving. And doing these activities as a family can help them experience better emotional well-being. When looking for an on-site caravan for sale, look for one that has nice outdoor settings where kids can explore and develop their problem-solving skills. On-site caravans are not as large as the standard family home, they are a set of small rooms that a family will need to share together. This teaches children to understand the need to share space and things together. It also enables families to be closer as space is smaller and families will need to sit in the same room during evening time. If the family would like a bit more comfort, they can consider a caravan park onsite cabin for sale. There are also plenty of Caravan Parks around Australia that have cabins which are individually owned. On Holidaylife.com.au there are currently caravans cabins onsite for sale in South Australia, New South Wales, and Queensland. Spending time together as a family allows children to learn and grow in a non-judgemental setting. They will grow in a safe and supportive environment and this will give them self-confidence at a young development stage. When they are working on a project such as building something, let them make mistakes, allow them to find solutions. Do not help them with every step of the way. Once they find the solution themselves they will gain more confidence and be a happy child. When researching an on-site caravan for sale, look for a van that has space for children to start projects such as puzzles or building a fort. If families take the time to do meaningful enjoyable activities together, child behavioral problems decrease. Working together on a project helps children learn to work as a team and work towards a common goal. Everyone is working towards a plan and teamwork makes it happen. Children learn the excitement of being in a team and achieve team goals. City lives can be so hectic and rushed and there are chances that parents don’t have time to have long chats with their kids. Spending time on a Caravan Park holiday give families the chance to have nice chats together and meaningful chats about all aspects of their child’s lives. Going for walks together, doing projects together and having meals together will give plenty of opportunities to have relaxed chats with your kids. Look for Caravan Parks that have an on-site caravan for sale that has a nice family room or outdoor setting where meals can be enjoyed together. For more comfort consider a caravan park onsite cabin for sale.